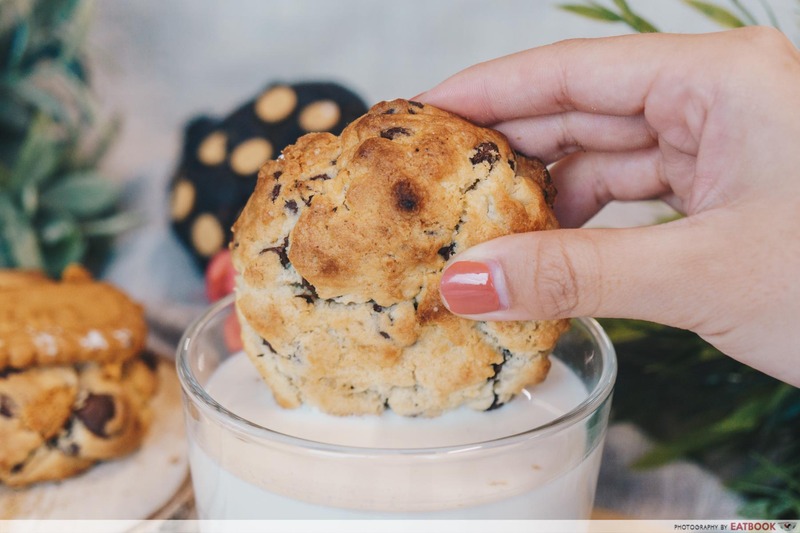 There’s nothing more comforting than having some warm milk and cookies in bed on a rainy day. 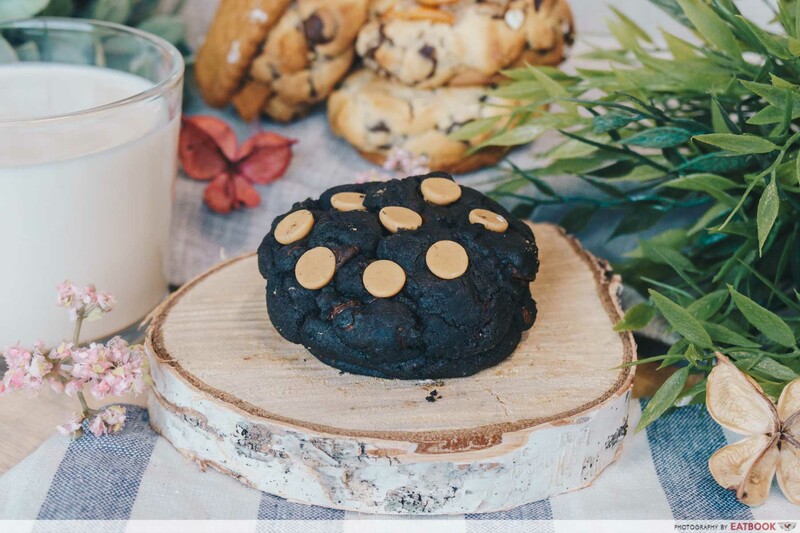 Making a dent on the World Wide Web, Nasty Cookie started an online retail store just last month selling their huge, thick, and downright nasty-looking cookies. And I am not one who could pass on a cookie like that. 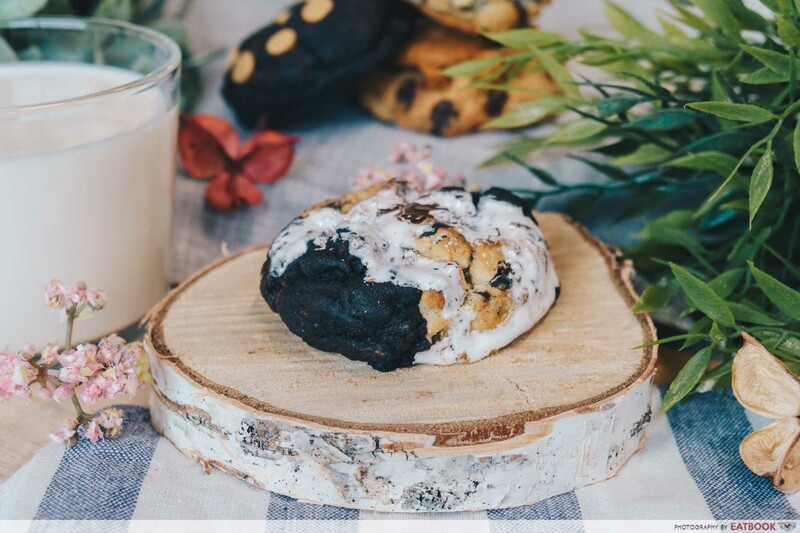 Inspired by mammoth gourmet cookies in New York, these lumpy cookies have become legendary in the office – not without reason. The cookies nailed the right balance between crunchy on the outside and soft on the inside. 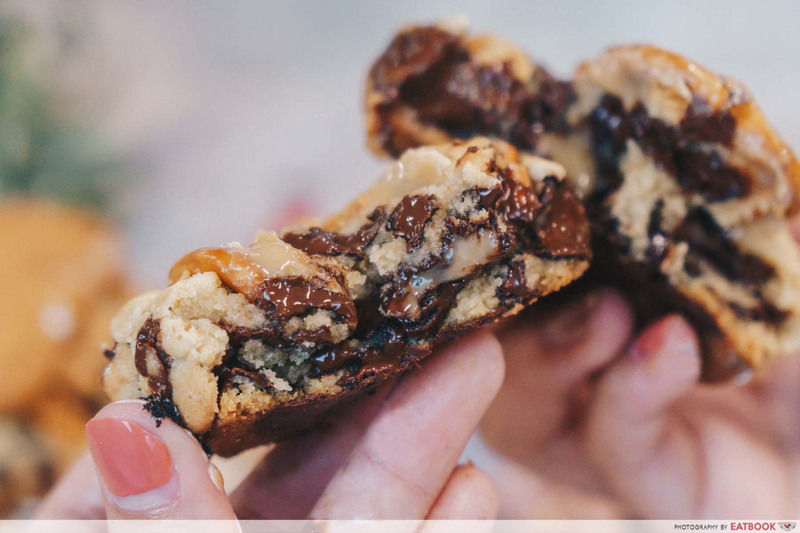 Grab a friend or two to share the purchase, as there is a minimum order of four cookies and a delivery charge of $5. That being said, getting four or more for yourself might be an easy task with nine different options to choose from. There’s Chocolate Chip, Dark Choc Chip, Half & Half, Biscoff Cookie, Peanut Butter Chips, Reese’s Cup, Lets Pretzel, M&M Frenzy, and Oreo Outrage. 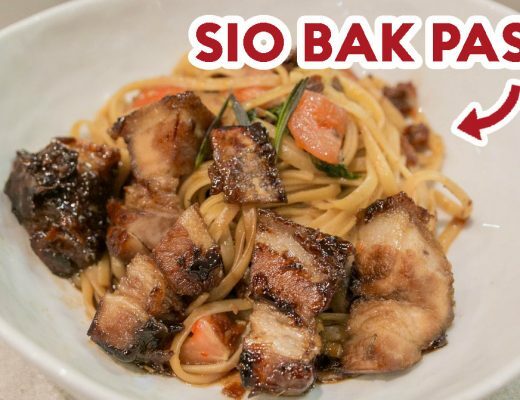 You can also further zhng it up with an optional but complimentary choice of fillings – Nutella, marshmallow, or dulce de leche. 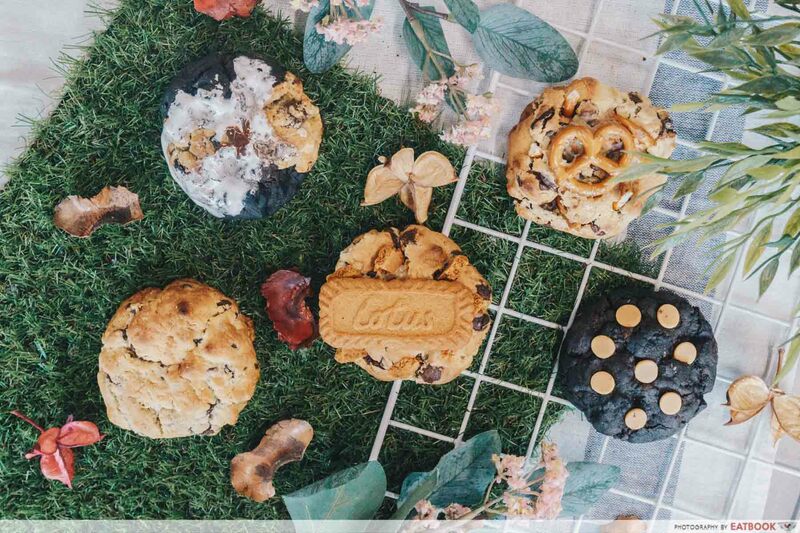 Nasty Cookie is slaying the cookie game so hard we had to get our hands on five. We heed their advice and dived into the cookies only after heating them up. Those who like their cookies chewy and underbaked might be disappointed, as they reminded me more of a dense cake. But that being said, they executed a solid bake with each buttery bite better than the next. You can’t go wrong ordering the classic Chocolate Chip cookie. We got ours with Nutella filling. It was loaded with enough chocolate chunks to delight even the most chocolate-crazed girl during PMS. 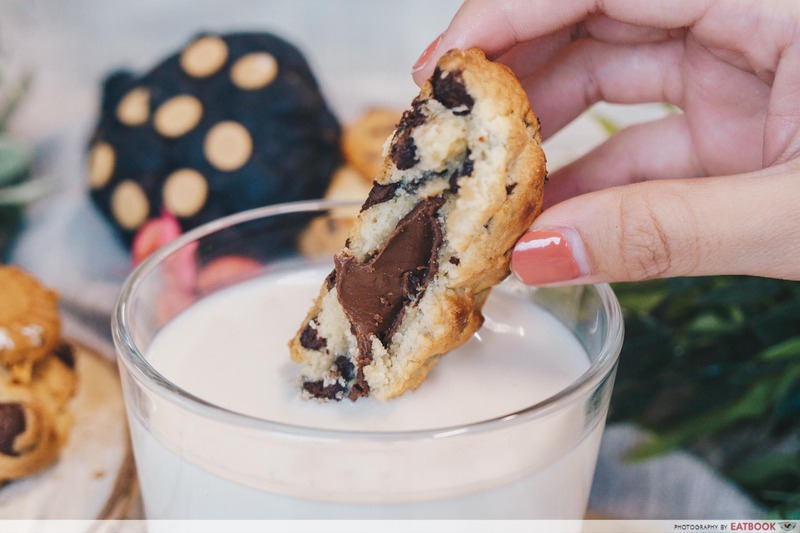 If you’re looking for more bang for the buck, their Half & Half features both Chocolate Chip and Dark Choc Chip in one cookie. We added marshmallow fillings to this one. It came out warm and marshmallow-kissed both inside and outside of the cookie. With silky white gobs everywhere, this rids any memories of boring cookies. 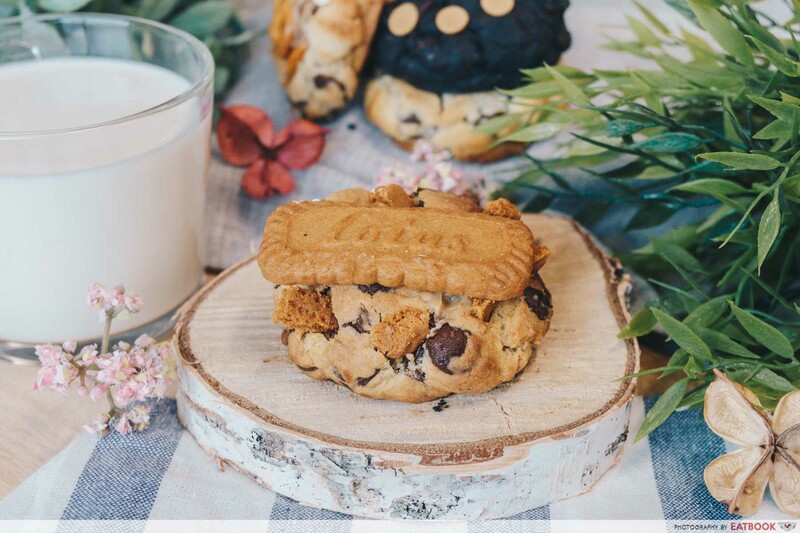 The Biscoff Cookie is one of their bestsellers and I can see why. Semisweet chocolate morsels and pieces of super crunchy Lotus Biscoff cookies mix and mingle, providing a contrasting texture to each mouthful. 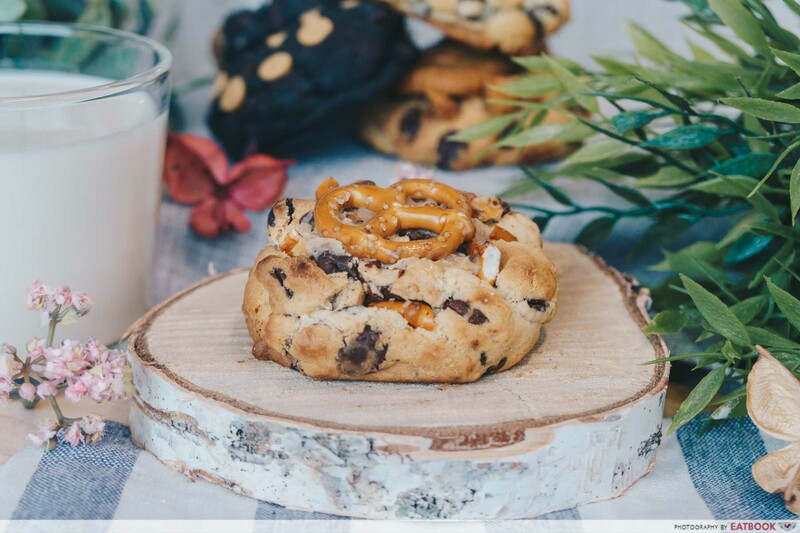 Having it with the dulce de leche filling also delivers a wallop of Christmassy-vibe in the cookie. Lets Pretzel reminds me of a chocolate salted caramel cookie. 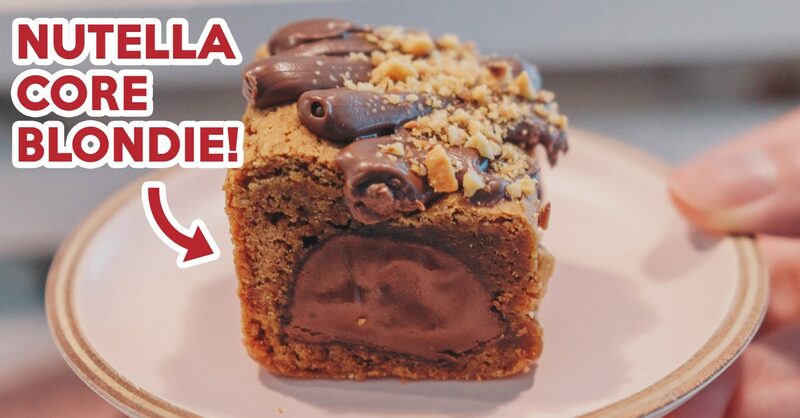 It tastes almost similar to the Biscoff cookie, especially if you get it with dulce de leche filling as well. 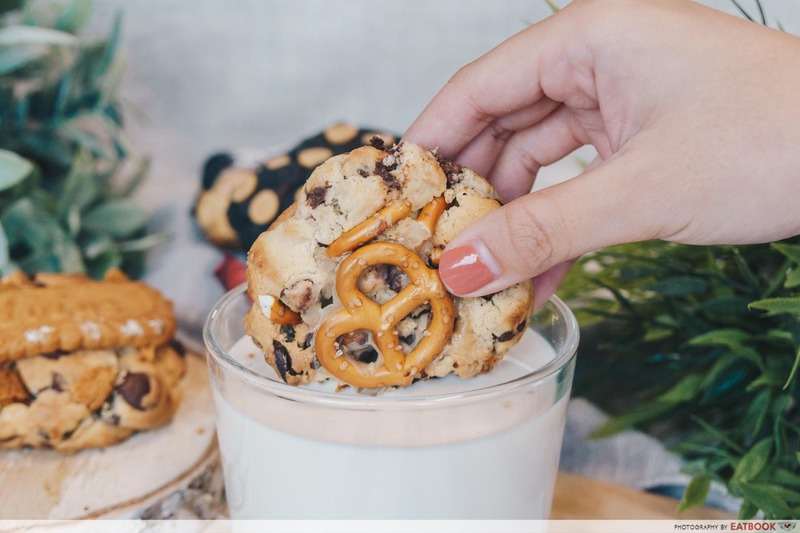 The pretzel bits were slightly salted and further elevated the sweetness of the cookie. The Peanut Butter Chip cookie is a personal favourite. It uses the same batter as the Dark Choc Chip, but is further laded with peanut butter chips for a toothsome cookie. 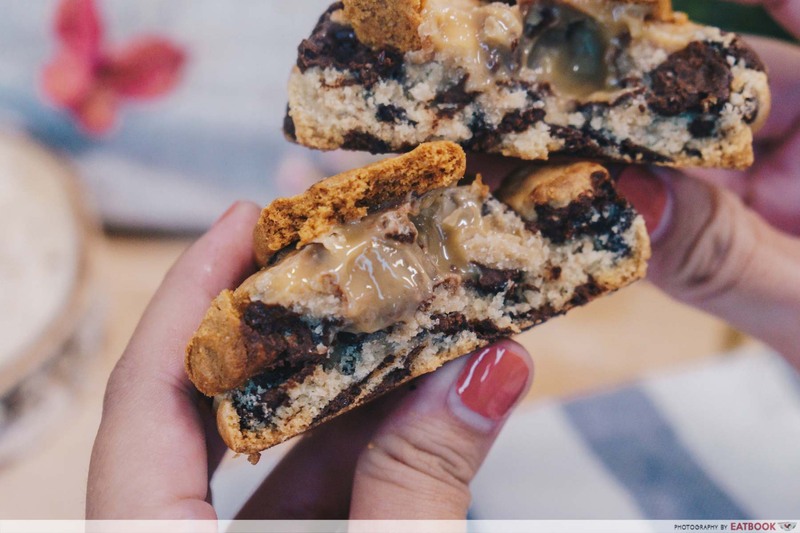 The highlight among the sweets is the added peanut butter chips, as they complement the cookie with a strong yet delicious nutty richness. 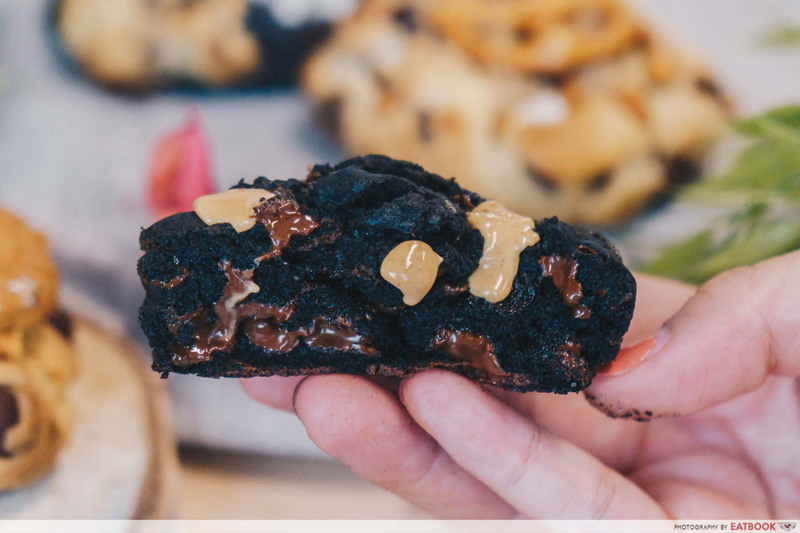 Factoring in the decadent chocolate chunks, this is a cookie which hits the sweet spot just fine. Nasty Cookie successfully pulled off the hat trick of being beautifully crunchy on the outside, yet soft and melty in the middle. These deservedly beloved cookies might be huge, but that doesn’t mean I’ll be willing to share. Nasty Cookie is not halal-certified, but contains no pork or lard. Photos taken by Becky Chong. 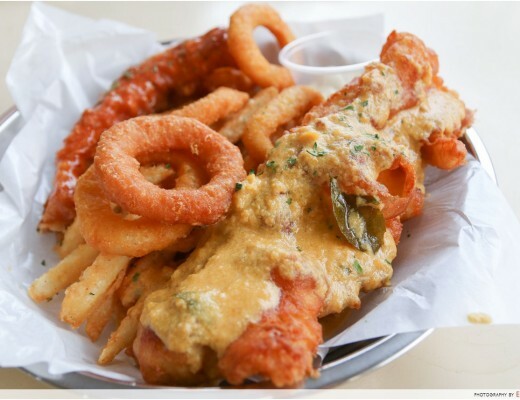 Fish & Chicks Review: Salted Egg and Chilli Crab Fish & Chips in a Kopitiam!